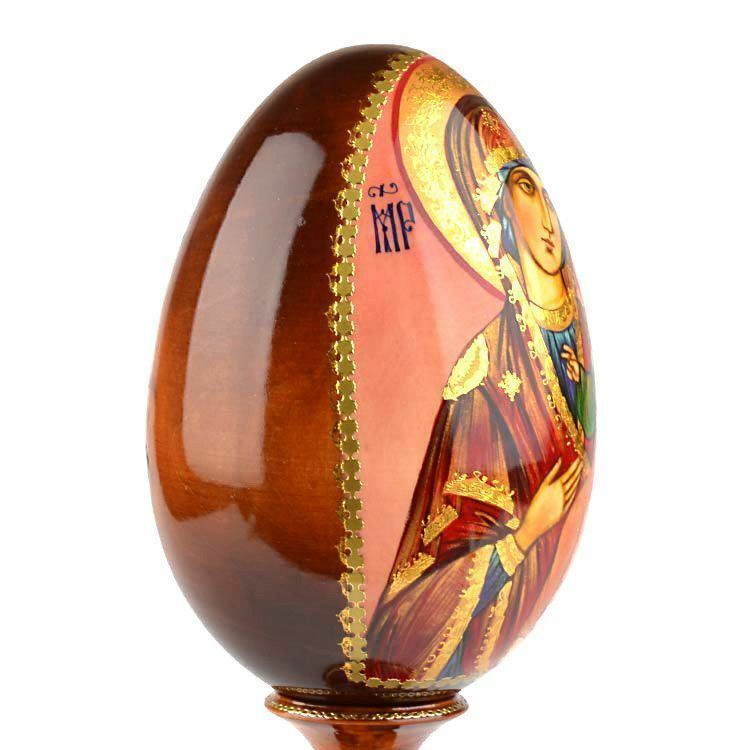 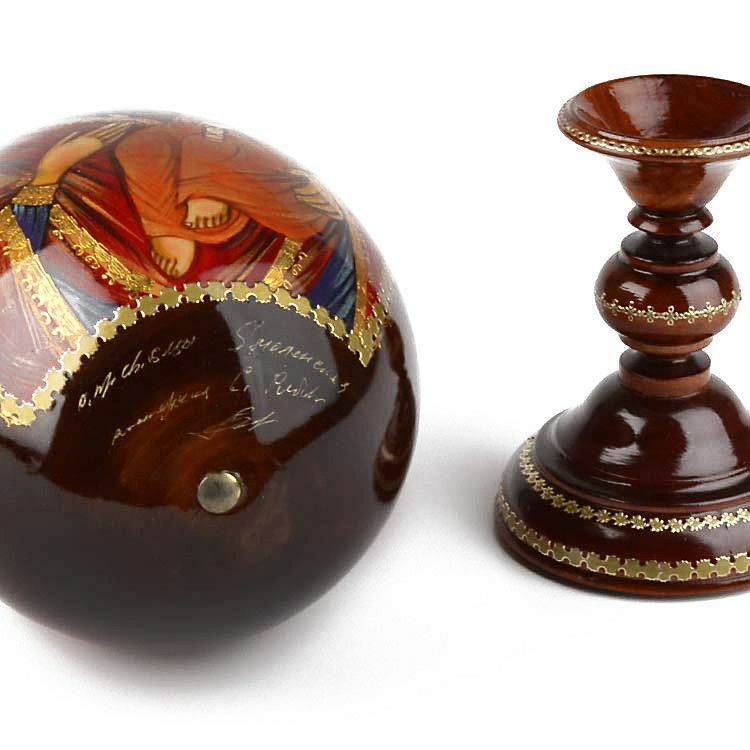 This richly adorned large Russian wooden egg on a pedestal was crafted by hand. 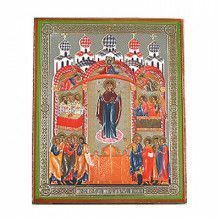 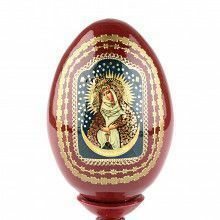 This hand-painted icon-egg presents the iconographic depiction of the Blessed Smolensk Virgin (aka The Virgin Hodegetria of Smolensk,The Smolensk Directress, She who leads the way) holding the Child Jesus. 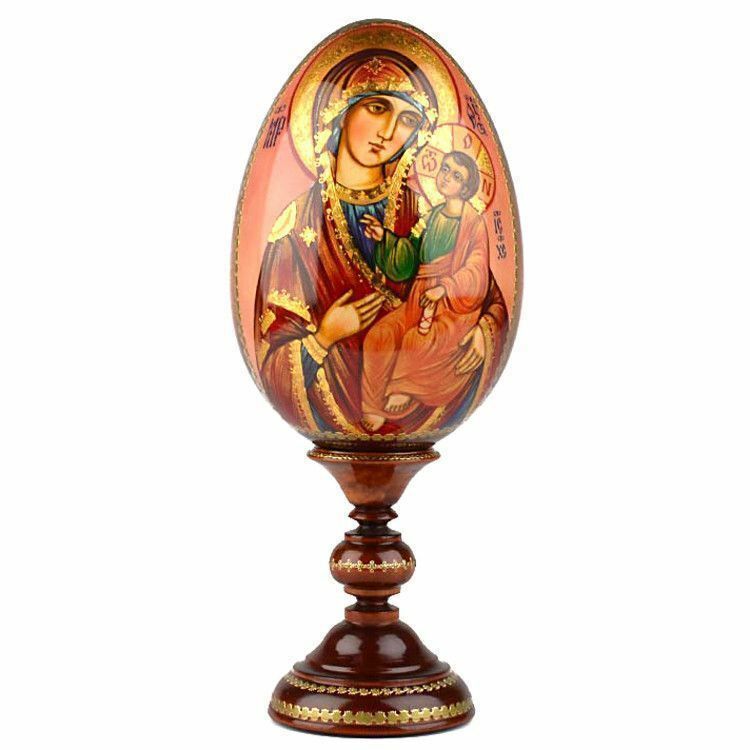 The handwritten note on the bottom of the egg says: Blessed Smolensk Virgin, Sergiev Posad, and Artist's initials. 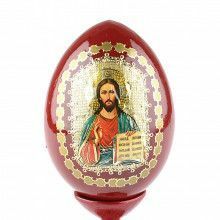 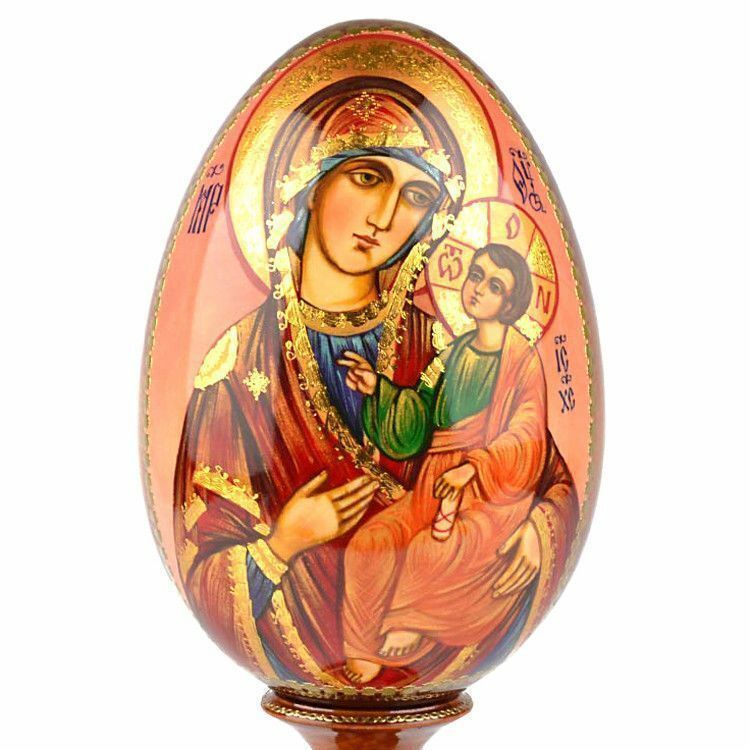 The deep religious history of the Russian people has long been epitomized in the carving and decorating of eggs, as well as icons. 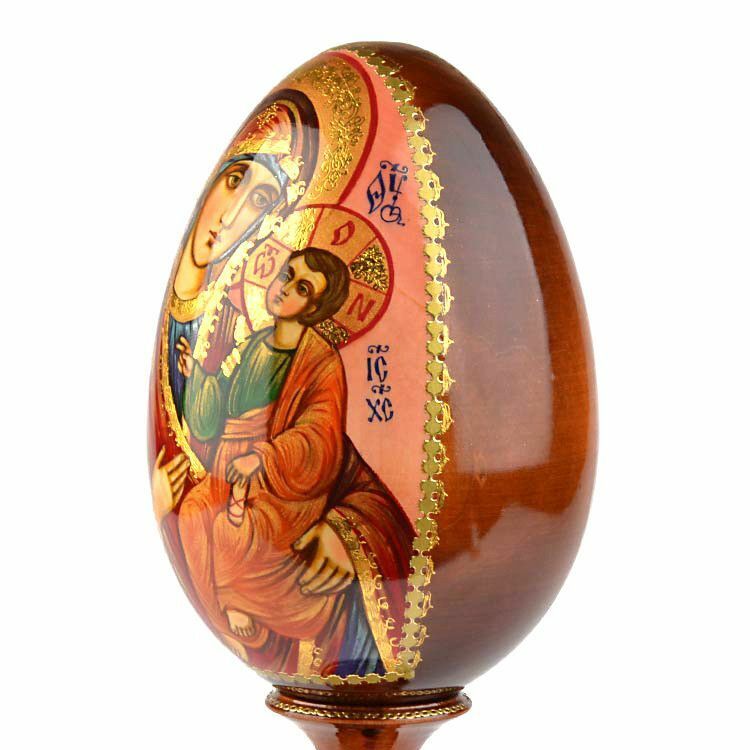 Bring home a piece of Russian tradition today with this wonderful golden icon-egg. 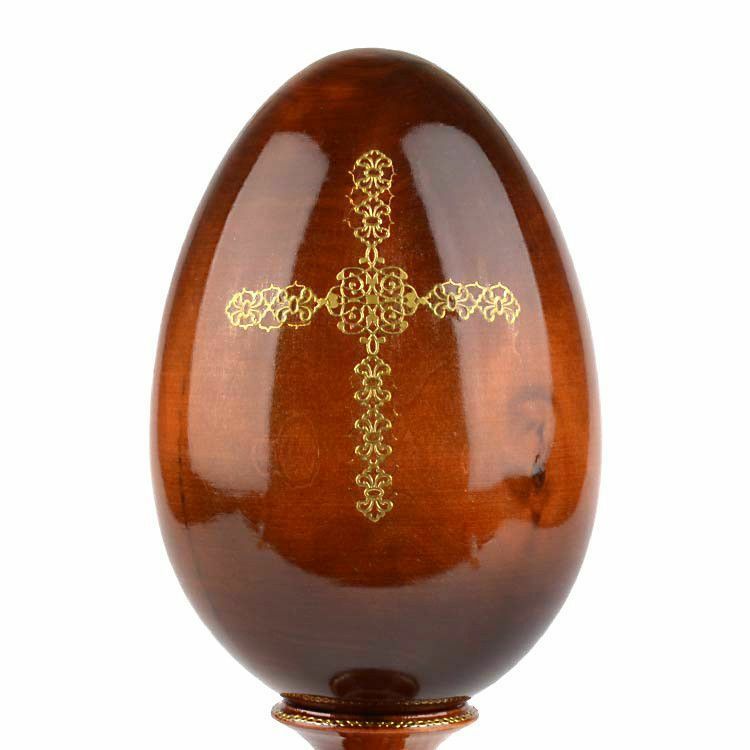 Approximately 13" total height (Egg: 8" Stand: 5").